Philip Togni has crafted memorable, riveting Napa Valley Cabernets for at least six decades. The Cabernet Sauvignon Togni made at Chappellet in 1969 remains one of the greatest and most singular wines I have ever had the pleasure to taste and drink, from any region in the world. Its longevity is reflected in a level of rarity and price that makes the 1969 the first modern-day cult wine in this history of Napa Valley. A native Brit, Togni studied winemaking with Emile Peynaud in Bordeaux before arriving in Napa Valley in the late 1950s. Togni brought with him the traditional methods he learned in France and applied them in making noteworthy wines for a series of employers. In the mid 1970’s, while working at Cuvaison, Togni and his wife, Birgitta, purchased an estate on Spring Mountain. Even today, decades later, the property remains quite rugged. The cellar is Spartan, especially by the standards of present-day Napa Valley. 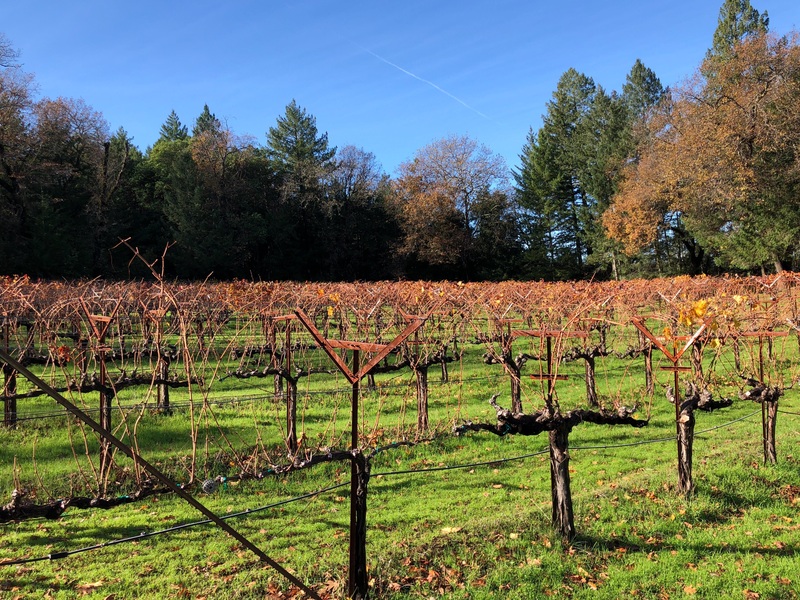 The Tognis planted their first acres of vineyards in 1981 with plant material taken from a part of the Draper Vineyard (now part of Spring Mountain Vineyards) that at the time supplied Beaulieu Vineyard with fruit. A second, later planting took place between 1985 and 1986. Sadly, the 1981 vines, which were planted on AxR#1 rootstock, succumbed to a lethal combination of phylloxera and Pierce’s Disease that required a complete replanting of the original parcels between 1994 and 1997. The winery remains very much a family affair. Daughter Lisa Togni makes the wines today, although her parents are quite engaged and always present. 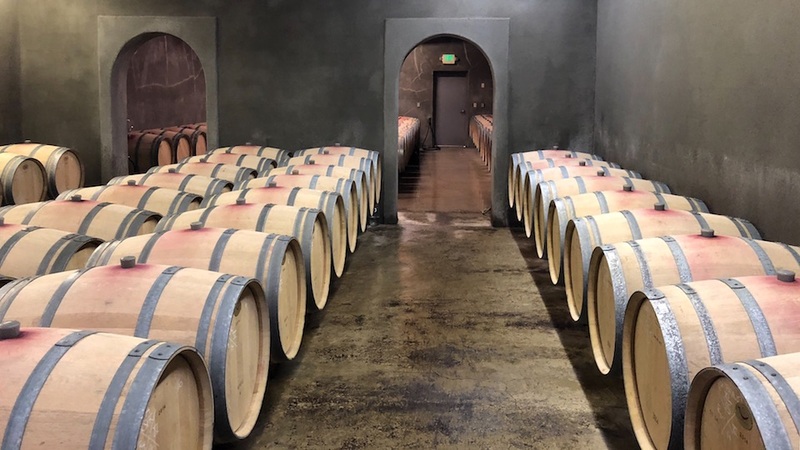 Among other things, the Tognis had the foresight to cellar a few cases of each vintage for a library that they tap into each year to offer their long-time customers perfectly stored 10-, 20- and, where possible, 30-year old wines. I tasted these three Cabernets after the new and upcoming releases on my most recent visit. 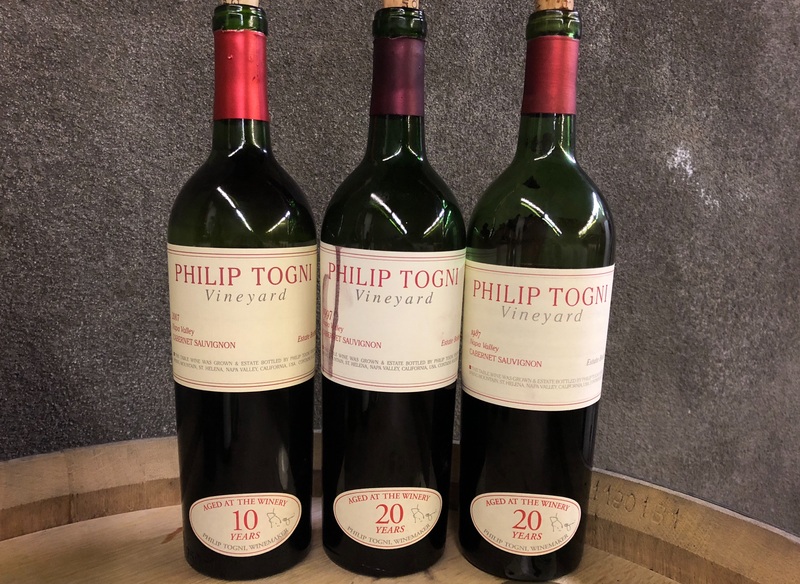 As much as I enjoy tasting the young wines, I confess I always get excited when we move into the older wines, as Togni’s Cabernets have an extraordinary track record for developing into exquisite wines with time in bottle. At ten years of age the 2007 Cabernet Sauvignon Estate is just beginning to enter its first plateau of maturity. Super-ripe black cherry, plum, espresso, spice and new leather take on elements of exoticism. Racy and forward, the 2007 has enough depth to drink well for another 10-15 years, but I don't see it being one of the more long-lived wines to emerge from this Spring Mountain estate. This is a decidedly rich, unctuous Cabernet by Togni standards. Lisa Togni adds that harvest started on October 3 and that the crop was bountiful. I have always adored Togni's 1997 Cabernet Sauvignon Estate because it captures both the natural intensity of the year and the vibrancy that makes these wines so compelling. Powerful and explosive, with huge density, the 1997 hits the palate with waves of dark fruit intermingled with savory herb, charcoal, tobacco and grilled herb overtones. Even with all of its intensity, the 1997 has enough textural richness to drink for another 10-15 years, maybe more, as there is still quite a bit of structure and tannin. Hints of cedar, tobacco, crushed leaves and game add the closing shades of nuance. Now fully mature, the 1987 Cabernet Sauvignon Estate is an excellent choice for drinking now and over the next few years. Game, smoke, licorice, tobacco, sage and black olives give the 1987 much of its distinctive savory profile. The 1987 was made entirely from the original 1981 planting.